Home / Activities / Beer or Wine? 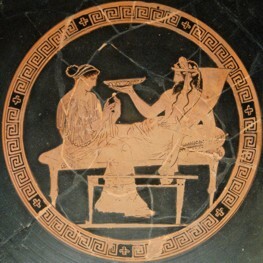 In ancient Greece people considered beer as a beverage of a nutritional value lower than that of wine. In recent tradition people drank only wine, and added more water during summer times. Every natural product has minerals, vitamins and anti-oxidizers which constitute its defensive and nutritional elements. So barley, where beer comes from (wine from barley), is a good source of many vitamins, like the vitamins of complex B, niasine (B3), rivoflavin (B2), pyridoxine (B6), covalamin (B12) and phylic acid. The fibers of barley retard digestion and the absorption of food, because they are friendly to fats. Grape is also rich in ingredients of high nutritional value and of greatest importance for our nutrition. This is where the therapy of grapes is based. Moreover, the grape is rich in vitamin A, B, C, E, phylic acid and anti-oxidizers. From the 16 minerals necessary to human organism, the 12 more basic ones are found in grapes (potassium, calcium, iron, phosphorus, magnesium, sodium, boron etc). It has anti-oxidizing properties that prohibit the creation and action of free radicals, thus helping the conservation of youth. The oil of the grape’s stone is rich in fatty acids, which help the prevention of cardiovascular diseases, since they can decrease cholesterol! 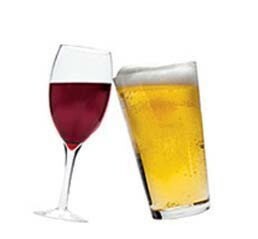 Beer and wine are produced by these two natural goods. There is a chemical procedure which radically differentiates the final products. We must emphasize that we are talking about the traditional productive procedure, without chemical additives and without conservatives. 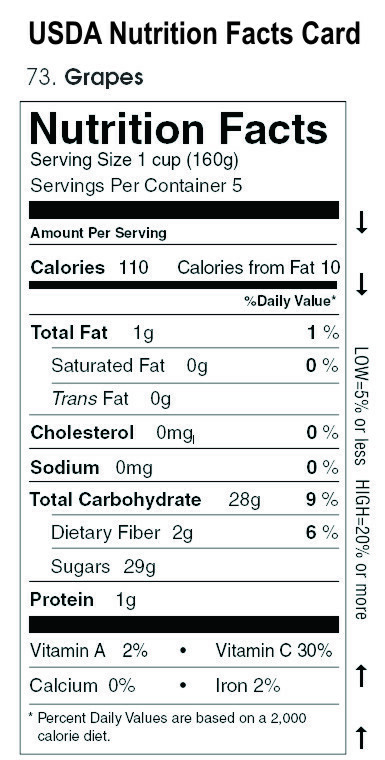 Both chemical additives and conservatives have been added to the production by today’s industrial production, according to the globalized food code (Code Alimentarius). In the productive procedure of beer very high temperatures are created and thus the nutritional elements of the ingredients are lost. The malt which is received from vegetation is first dried and then roasted”. …”the wort is enriched with hop and then it is boiled for some hours. With the boiling we succeed in sterilizing the wort as well as extracting all the flavor, the aromas and the conservative ingredients of hop”. With wine, in contrary, the passage of the nutritional elements of grape to wine is done in low temperatures, below 20C. This results in the conservation of vitamins and of the other elements of grape. Alcohol is their conservative. Grape and wine are basic pillars of Mediterranean nutrition. 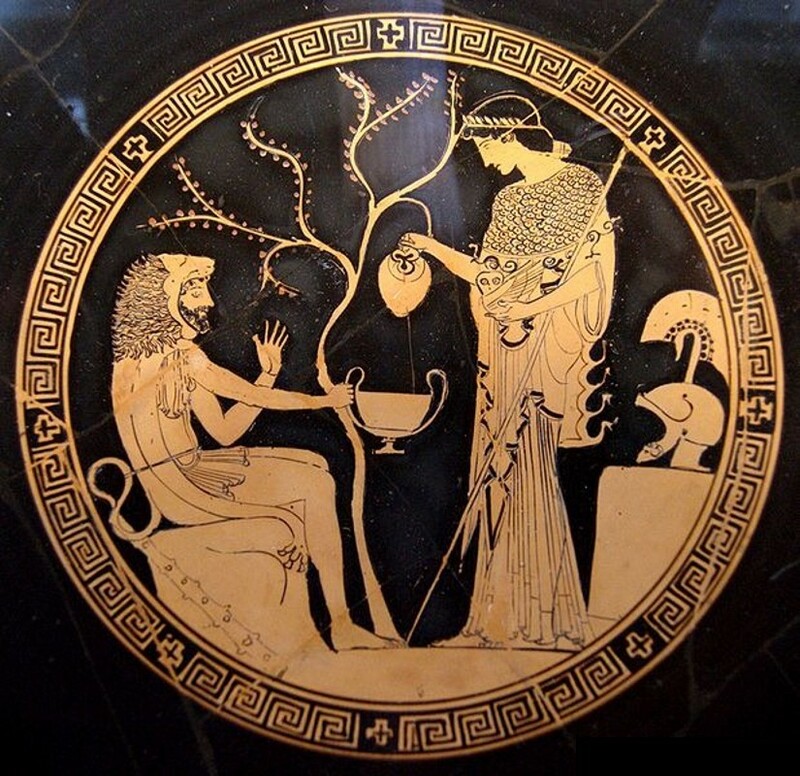 Our ancestors used wine not only at the symposia, but also as a basic nutrition. “Bread or barley grain was eaten soaked in pure wine (wine without water), and it was called “akratisma”. Akratisma was mainly eaten in the morning, and this is why breakfast was called akratisma as well”. Until the 19th century, our ancestors created wine by adding water into pure wine. The mixed wine was called “kekrameno”. This still goes on in some mountain villages. This way the traditional wine had most of the times low levels of alcohol, and in summer time, it reached the levels of beer. This way people extenuated the unpleasant consequences of high levels of alcohol. “There are clues that prove that wine, and resveratrol in particular, have anti-inflammatory, as well as anti-cancer properties. The positive consequences of moderate consumption of wine for the heart and for the decrease of blood pressure were due to the anti-oxidizing substances like the phlavonoid compounds found in it. 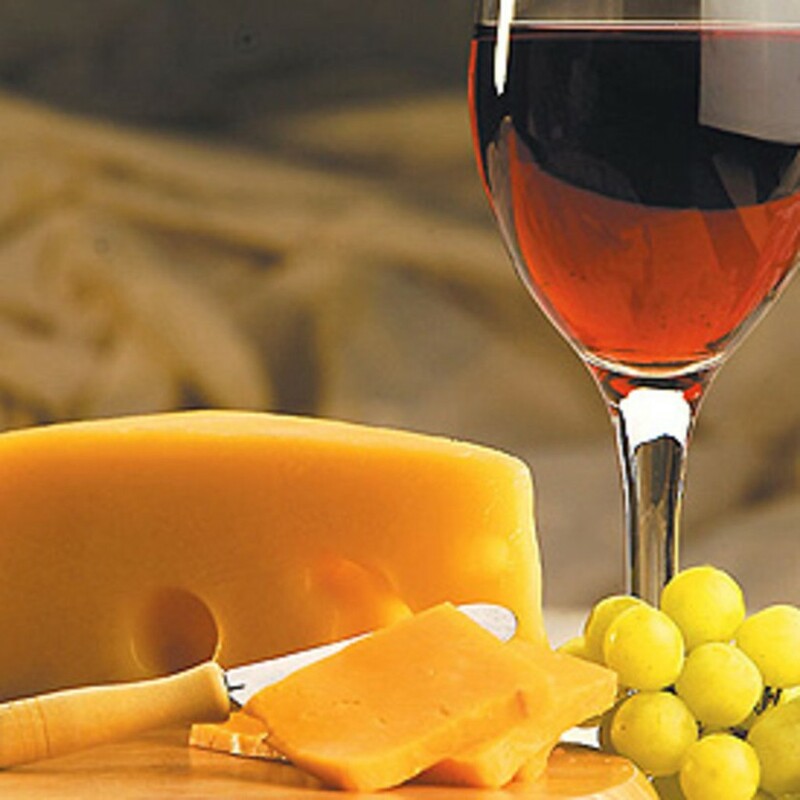 Red wine, through the anti-oxidizing resveratrol that it contains, can offer protection also to the brain neurons. As far as the relationship between the consumption of red wine and Alzheimer disease is concerned, epidemiological studies found that moderate consumption of this famous from ancient times beverage is connected to a lower risk of attack from the Alzheimer disease. The findings of Swiss researchers showed that resveratrol helps the cells to survive when they are under acidic stress. We must also refer to the fact that the cause of most studies that have been conducted or are being now conducted about wine, apart from the fact that wine was and still is very famous, is the “French paradox”. But what is the “French paradox”? Even though the French people consume food rich in saturated fats, resulting in high levels of cholesterol, the levels of cardiac diseases are low. This paradox is mainly attributed to the moderate consumption of wine, with 1 or 2 glasses of wine per day, a habit very common in France. It seems that those who moderately consume wine are healthier than those who drink other alcoholic beverages or than those who do not drink alcohol. Moderate consumption of wine was related to a lower risk of some diseases such as strokes, cardiac diseases, lung cancer, cancer of the upper digestive system, and lower frequency of death”. It was called the French paradox because the rest of the north Europeans that drank beer and also consumed greasy food, died from cardiac diseases, contrary to the French people. This phenomenon was mainly studied the last century. Research findings showed that red wine is what helps them. So the famous “French paradox” opened the path to a constantly growing scientific interest concerning the benefits of “red vinification” wine. The main beneficial action of wine through red vinification is due to the substances that it contains (anti-oxidizing ingredients), which help the growing of good cholesterol HDL, and in a lower degree is due to alcohol. 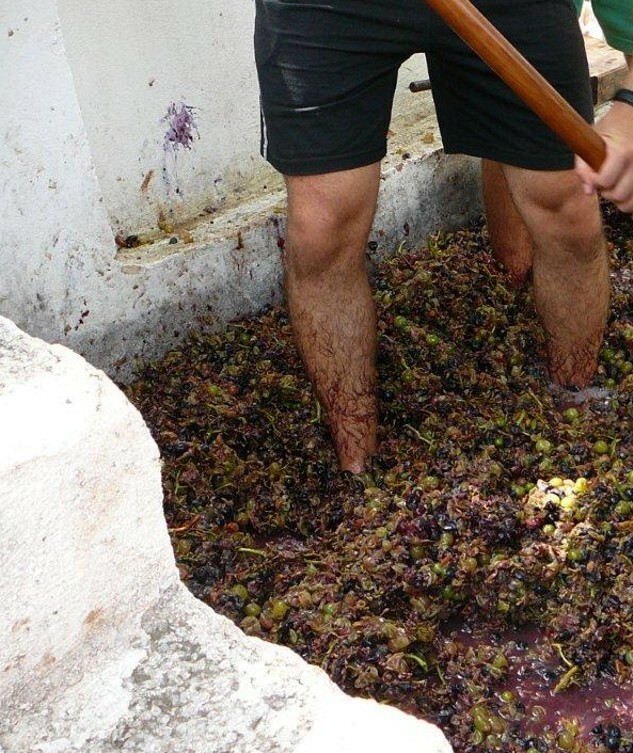 With the method of the ancient-traditional red vinification, the beneficial ingredients of the grape pass through osmosis into the body of the wine, the sugars of the grape are transformed in low temperatures, into alcohol, which is a means of conservation of wine’s beneficial ingredients through time. We call it red vinification because nowadays it is only through the vinification of red grapes that the seeds and the peel remain in the wort for a short period of time. Traditionally, this was done also with white grapes, but mainly with roditis. Professor Masquelier studied profoundly and analytically the benefits of wine and the anti-oxidizing substances that are contained in it, and he isolated a powerful group of natural anti-oxidizing substances, the OPC. Having more places capable of destroying free radicals, OPC have much more powerful anti-oxidizing properties than vitamins E and C. Moreover, OPC protect vitamin C from oxidation. OPC are contained in the peel and mainly in the seeds of grapes, from where they are being extracted for medical use. This is what we call “thePower of the Seed”. If you were a plant, where would you give your “strenght”? Certainly to your descendant. However, th descendant of a plant is the seed and not the fruit! “I can see how many apples are on a tree, but I cannot see how many apple trees are inside an apple”, said a great naturalist, implying that every seed of the apple is an apple tree, emphasizing the fact that the seed has great power and value. The plant puts its whole strenght in the seed. The cover of the seed is so strong, so that it can resist the digestive fluids of birds that ate the seed, and will put it out to flourish. It encloses and arms the germ of the seed with the first weapons necessary to deal with its enemies. And its main enemy is oxygen. So the plant gives to the germ a few – there is not enough space- but powerful anti-oxidizing substances, the OPC. OPC and the rest biophlavonoids pass from the peel and the cracked seeds inside the body of the wine through osmosis, when we use the method of red vinification. With today’s methods of vinification the seeds do not crack when we squeeze the grape, resulting in the almost absent participation of the ”power of the seed” in the vinification. In the white wine the peel and the seed are thrown away right from the start. 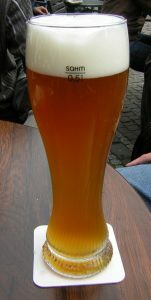 Beer is a beverage that excites the appetite and refines the taste of food. Beer is produced by vegetable raw materials such as barley, cereals, yeast, and water. “Apart from the tasty delight of beer, beer is valuable for our health. It seems that the moderate consumption of alcohol protects the heart and the vessels. 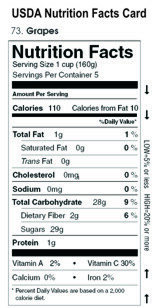 The fibers of barley retard digestion and the absorption of food, and also reduce the levels of LDL (bad) cholesterol. The moderate consumption of beer can bring lower levels of insulin resistance, which is related to the appearance of diabetes”. “A group of experts from the General Hospital of Massachusetts, with Dr Chion Choy as leader, puts under medical observation 47.000 men for a total period of 12 years, during which 730 of them were infected by uric arthritis. 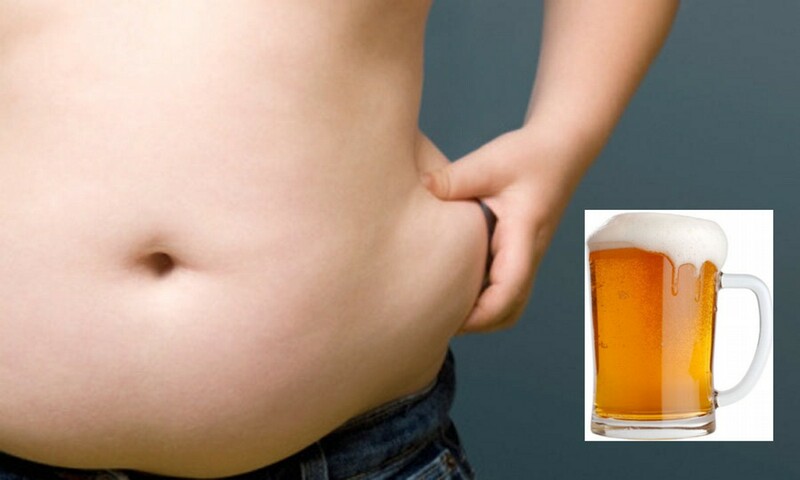 It was ascertained that people who consumed two or more glasses of beer per day had up to 2.5 times more chances to develop the disease than those who drank nothing. The consumption of a corresponding daily quantity of alcohol increased the risk by 1.6 times. However, moderate consumption of wine did not have a corresponding negative effect”. In ancient Greece, beer was the drink of slaves. With Helession’s wine, you create wine at the desirable temperatures, so you can overcome the problems of high levels of alcohol.